we remember. we mourn. we work. we imagine doing better. 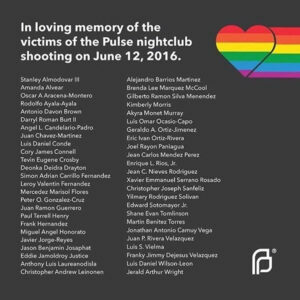 Today marks the two year anniversary of the Pulse Nightclub Massacre in Orlando, Florida, killing 49 people. In addition to another tragic instance of gun violence in our country, Pulse was an attack on our LGBTQ brothers and sisters, specifically the Latinx LGBTQ community. The massacre occurred during Pride weekend, at a sanctuary-of-a-club for LGBTQ people. Remembering Pulse means staying focused on the escalating climate of violence in our country against LGBTQ people, specifically transgender women of color, and actively working to promote love over hate. How can we do this? I offer three suggestions. 1. When Tragedies Occur, Show Up. in the West Village for a vigil. I knew I had to go. I had no words and nothing to offer other than myself. But my presence mattered. It mattered because being there changed me. 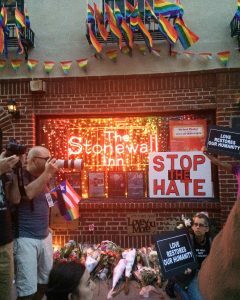 I stood shoulder to shoulder with gay, lesbian, bisexual, queer, and trans people who were intimately and deeply wounded. I saw their tears. That changes you. It changes your heart, it changes your mind, and it expands your capacity to imagine equality. Showing up also demonstrates solidarity; a clear understanding of our common humanity, liberation, and struggle. 2. Stay Informed & Inform Others. Only those who have never been adversely affected by policies have the luxury of not engaging in politics. How many times have you heard “I try not to talk about politics?” Those affected harshly by policy, sometimes to the point of death, can’t not engage. Their very beings are attacked daily. Imagining a better tomorrow means debunking the privileged understanding of citizenship that allows one blissful ignorance. We must continually educate ourselves on policies and educate others as we do. Did you know that LGBT people are more likely to be targets of hate crimes than any other minority? The National Coalition of Anti-Violence Programs recorded 52 LGTBQ hate-based homicides in 2017 up significantly from 28 single-incident anti-LGTBQ homicides in 2016. (The Pulse massacre is not included when calculating single-incident homicides.) And while these are devastating numbers, it’s highly probable they don’t tell the entire story, as cases are frequently documented incorrectly. Did you know that less than two hours after Donald Trump and Mike Pence were sworn into office, all mentions of LGBTQ issues were removed from the official White House webpage? Can you imagine being erased? The Human Rights Coalition has been documenting our current administration’s attacks on the LGBTQ community since day one, and I encourage you to stay informed here. Did you know that LGBT people are still denied basic human rights? In my hometown of Georgetown, Kentucky, my sister, and her fiance could be fired, not hired, denied business, and/or not housed because, as lesbians, they are not protected against discrimination. What about your town? 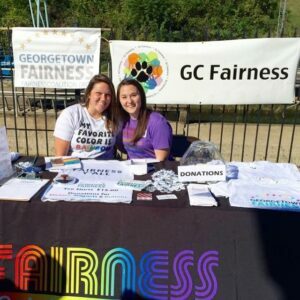 Sidenote: I am proud to say that both my parents, my sister Gentry and her fiance Mieko are actively involved with Georgetown Fairness, urging the passing of a Fairness Ordinance and prohibiting such discrimination based on sexual orientation and gender identity. Look for ways to get involved in your town. Please let me know if you need help finding ways to plug in. 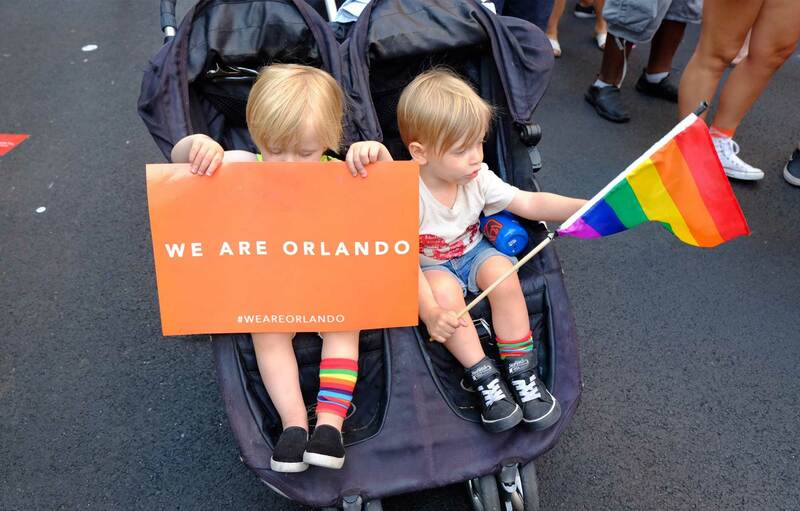 There is no better way to imagine into being a more accepting and loving world than by placing images, people, and conversations about equality in front of our young. Representation matters. Children’s books are a seamless way to normalize different expressions of love. 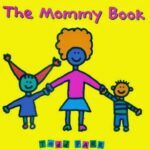 The Daddy Book, and It’s Ok to be Different are great for expanding binary gender roles, as is Worm Loves Worm by J.J Austrian. 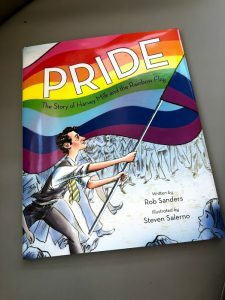 The Advocate published a great round up of 21 Picture Books every LGBT kid should read, including Square Zair Pair, Tango Makes Three, King & King, and 10,000 Dresses. Here We Read, a Diversity and Inclusion Expert (and a favorite Instagram account of mine), included and Julian is a Mermaid on a post today. What else is on your list? Our conversations about what these parades are will evolve as our kids grow. To date, we’ve told them the rainbow represents equality and that we believe people should be allowed to love whomever they want. As they grow there will be more space for conversations about what they imagine about love and the nuances of pride. 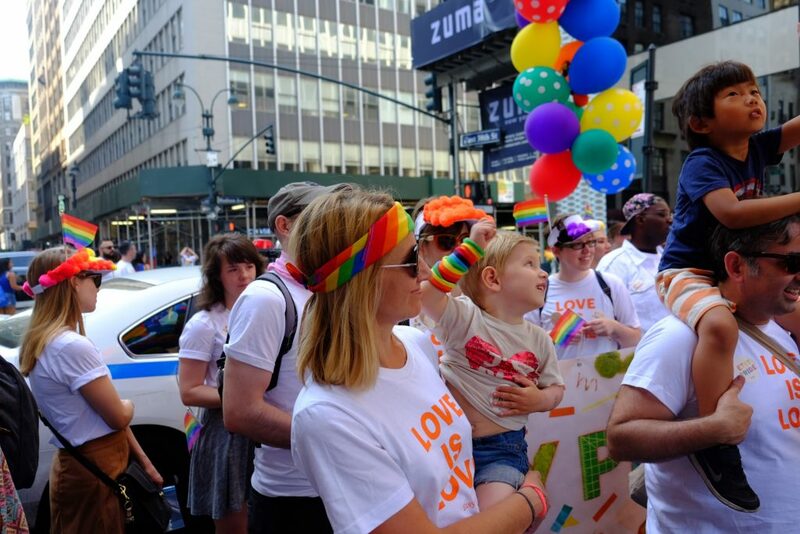 Do you talk about Pride with your kids? What are your conversations like? On this second anniversary of the Pulse Massacre, let’s remember. and Let’s imagine doing better. Will you? What kind of world do you imagine? Thanks to Activist_Femme for listing the names of the brothers and sisters lost in Orlando.